Port service providers are focusing on innovative solutions and expanded infrastructure. With a total of 9,969,036 tonnes, the Port of Antwerp recorded a 7.5 percent increase in the handling of refrigerated containers and perishable goods in 2017 compared with the previous year. The growth measured in TEU is as high as 8.5 percent and increased from 704,853 TEU in 2016 to 765,105 TEU in 2017. As a result, Europe's second largest seaport continues the positive development of the past few years as a preferred perishables hub. In order to be able to meet this growth trend, the service providers at the port are already preparing the necessary conditions for the future – from the expansion of the infrastructure such as additional refrigerated and fresh storage facilities to innovative solutions such as blockchain technology and sustainable transport concepts like groupage freight transports or modal shift. 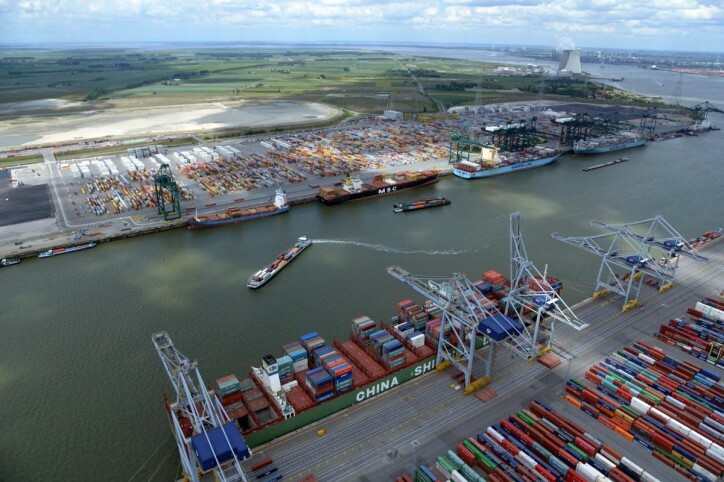 “The continuing growth of reefer traffic via the Port of Antwerp confirms that the range of transhipment and extended services for perishable goods offer real added value to the market. 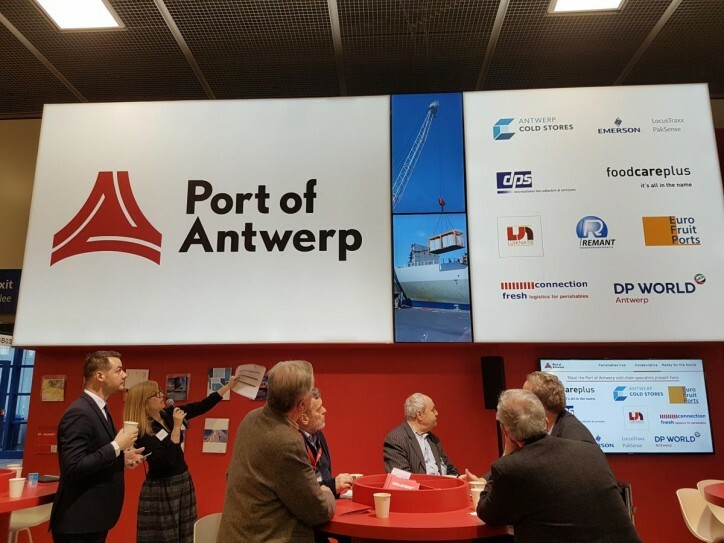 We are approaching the 10 million tons mark, which we hope to exceed next year," said Maartje Driessens, Business Development Manager Perishables of the Antwerp Port Authority, during a press breakfast at this year's Fruit Logistica. Connections to the world's fruit and vegetable regions have also improved significantly. In 2017 alone, new or expanded connections to West Africa (including Cameroon, Côte d' Ivoire, Ghana and Morocco) and Latin America (including Ecuador, Chile and Peru) have been added. Also the Levante Express of MSC has been further improved and now offers a direct connection to Beirut as well as optimized transit times between Antwerp and Turkey and Italy. Antwerp is frequently the first port of call in Western Europe, which is a particular advantage for this sensitive cargo. In addition to transhipment, the specialised Port of Antwerp also offers a wide range of services, from special refrigerated and fresh storage areas to expert value-added services such as quality control, ripening and assistance for phytosanitary inspection as well as customs clearance. Specialized service providers adapt their capacities to the increasing demand. Antwerp Cold Stores, for example, recently opened a new fresh produce area in its warehouse. Four cells in the temperature range between 0 and 18 °C provide capacity for 7,500 pallet spaces. The warehouse can be used as a bonded warehouse and is certified for organic products. It is ideal for potatoes, vegetables, fruit, nuts, but also for milk and dairy products or honey. In March, construction work will begin on a cold storage facility for Luik Natie Coldstore with 6,000 square metres of space for honey and bananas from Ecuador and Côte d' Ivoire. Luik Natie also plans to build a warehouse for frozen products with a capacity of around 22,000 pallet spaces by 2019. The Antwerp fruit hub is also offering new transport solutions. For example, ECU Worldwide, Antwerp's largest consolidator, has recently introduced a special reefer service for smaller cargo sizes between Europe and the USA. The line between Antwerp and Baltimore operates every 14 days for temperature-controlled cargoes between 16 and 18 °C and once a month for frozen goods in the range of -20 °C and below. In the hinterland, service providers are focusing in particular on the sustainable modal shift from road to rail and inland waterway transport. At the end of 2017, Remant Cool Logistics began transporting frozen Belgian fries in reefer containers by barge from the Belgian factory to the Port of Antwerp, which will save around 8,000 truck runs per year. The wholesale organisation Group De Witte, which imports pineapples from Costa Rica via Antwerp, has also shifted the onward transportation of reefer containers to their final destination in Brussels by barge. The Port of Antwerp and its service providers are also very much involved in the digitisation of the global supply chain. In addition to general measures that benefit all areas of the port, such as the new Data Utility platform NxtPort, there are also specific projects in the field of perishables. For example, foodcareplus is currently developing a food logistics and transport platform that combines blockchain technology and state-of-the-art monitoring systems in an innovative all-in-one solution. As a result, the food supply chain not only gains transparency and reliability, but also offers the highest degree of security. In order to further optimize processes, the platform will be open not only to customers but also to other participants in the supply chain, such as quality inspectors and food safety regulators. The 10th-anniversary edition of this high-level cold chain event will include a visit to Antwerp’s reefer infrastructure within the port.